Type Hike: Alphabeasts is a series of posters centering around the English alphabet and endangered species in and around the United States. 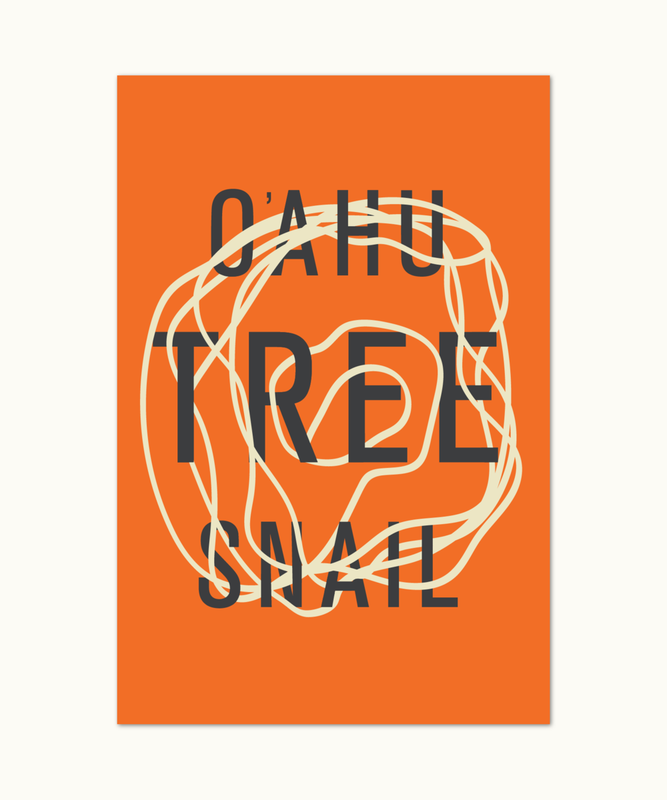 I was fortunate to join this project to design for the O'ahu Tree Snail, a Hawaiian endangered snail that has been historically celebrated for it's beauty. This series has recently been accepted into the Library of Congress permanent collection of Popular & Applied Graphic Arts division.